Botox is one of the most popular injectable treatments in the world. It is commonly used to smooth wrinkles for a younger, fresher looking face. Patients love Botox because it is non-surgical and minimally invasive, and produces noticeable yet subtle cosmetic improvement. 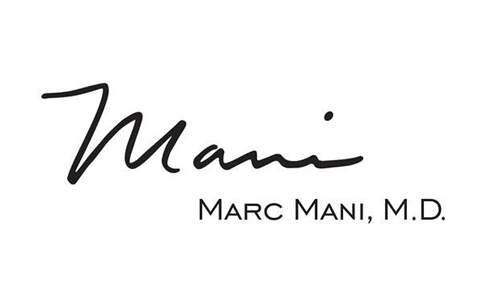 Dr. Marc Mani offers Botox treatment at his Beverly Hills plastic surgery practice. For the best results, Botox treatment should be administered by an experienced professional who understands the nuances of the facial features and muscles. This helps to avoid over-correction, which can lead to a perpetually surprised or “frozen” looking expression. Botox improves the appearance of dynamic wrinkles, such as crow’s feet, worry lines or laugh lines, which develop over time because of repetitive facial motions. Botox injections paralyze the muscles, preventing them from contracting and smoothing the resulting lines. Botox is most effective on mild to moderate wrinkling, or may be used as a preventative measure if you are prone to making facial expressions that lead to wrinkling (e.g., raising the eyebrows, furrowing your forehead). Contrary to what some believe, Botox cannot be used to correct another common sign of aging: sagging facial skin. It will not have any effect on the tone of the skin. Dr. Mani offers other options for sagging skin, like facelift and brow lift (depending on the area of the face that sags). He can discuss these options with you during consultation. Prior to treatment, the treatment area will be cleansed. A topical anesthesia product may be applied to prevent discomfort during the injections. Very small amounts of Botox will be strategically injected into the facial muscles that contract to cause wrinkles. As the product is injected into the skin, you may feel a slight stinging sensation, but it will not be painful. The number of injections will depend on the size of the treatment area and the extent of correction needed. After the injections, you may be advised to apply ice to the treatment area. You should be able to return to your normal activities almost immediately. Slight bruising or redness is possible, but these side effects will fade quickly. You must avoid pressing on or massaging the treatment area, as this could cause the product to migrate and lead to complications (in the worst case, facial paralysis). After Botox treatment, your skin will look smoother and rejuvenated. With fewer wrinkles and creases, you will appear more awake, rested and younger. Botox results last temporarily; the effects will wear off after three to four months. Repeat treatment is required to maintain the effects. Research suggests that long-term Botox use may lead to a longer duration of the effects. If you are interested in wrinkle treatment with Botox, please contact the office of Dr. Mani and schedule an appointment. Call our office at (310) 203-0511 or send us an email today.